TYC 20-1039-MA-1. für NISSAN NOTE. Qualitätsprodukt - Markenware in Erstausrüsterqualität. 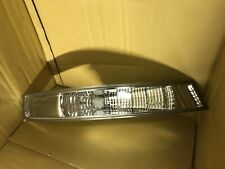 Genuine Nissan Navara & Pathfinder R/H Mirror Indicator Lense. Part Number; 261644X00A. This part will fit various models of the Nissan Navara & Pathfinder. Lexus-style and styling lighting; headlights; tail light, indicators, side repeaters & more. This light replaces the original opaque clear lens with a crystal clear look. Suitable for both Right Hand Drive and Left Hand Drive. VALEO 087540. Einbauseite: links / rechts. für NISSAN MICRA. Rückgaben und kostenlose Rücksendelabels. Qualitätsprodukt - Markenware in Erstausrüsterqualität. Betriebsart: elektrisch. OE number 261644X00A. Nissan Navara/Pathfinder Genuine Mirror Indicator Lense. VAN WEZEL 3305993V. für NISSAN MICRA. Qualitätsprodukt - Markenware in Erstausrüsterqualität. 2009MK3 Nissan Micra FL K12 FRONT INDICATOR RH Drivers Side Part Number - 62322BG00A There are some age related marks and scratches (see images) Please make sure part is correct before purchasing. We try to describe our parts as honestly as we can, however please also see our images in case we have missed anything. Any questions please ask. International buyers please contact us for price and availability of postage to your location. Removed from below vehicle -. Model: Nissan Skyline R34 GTT / GTR. 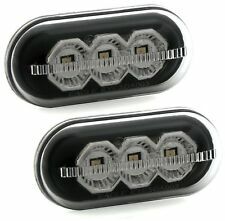 Nissan Skyline R34 GTT/GTR Smoked Crystal Clear Indicator lights. will only Fit Skyline R34GTT / GTR. Item: Square Smoked Crystal Clear Indicator Lights. Lexus-style and styling lighting; headlights; tail light, indicators, side repeaters & more. Clear Front Indicators to fit: Nissan Skyline R34. Suitable for both Right Hand Drive and Left Hand Drive. 2 CLIGNOTANTs LATÉRAux BLANC, DROIT ET GAUCHE AVEC CONTOUR GRIS. Nissan Interstar type X70 tous modèles à partir du 07/2002. Nissan Kubistar type X76 et X80 tous modèles du 08/2003 au 10/2009. Nissan Primastar type X83 tous modèles à partir du 03/2001. Nissan Genuine part to replace the Side Indicator Lense. (Kouki Model). Model: Nissan 180sx 200SX S13. will only Fit 200sx 180SX S13 Late Model Bumper. 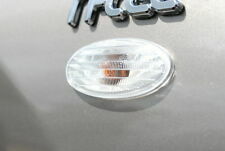 Item: Square Smoked Crystal Clear Indicator Lights. Replaces Original Item. Ref Number 261644X00A. Led mirror indicator unit with the lower puddle light. This fits on the Navara / Pathfinder which has the indicators in the mirrors. This unit fits on the drivers side on a right hand drive. 57469 Pisca Frente Direito Nissan Micra III (K12E)(2002->) 1.2 Visia [1,2 Ltr. - 48 kW CAT] CR12 - As condições de envio são para Portugal continental. Muito obrigado pela sua confiança. Pisca Frente Esquerdo Nissan Micra III (K12E)(2002->) 1.2 Visia [1,2 Ltr. 57468 Pisca Frente Esquerdo Nissan Micra III (K12E)(2002->) 1.2 Visia [1,2 Ltr. - 48 kW CAT] CR12 - As condições de envio são para Portugal continental. Muito obrigado pela sua confiança. Nissan Skyline R33 GTS GTR LED Luces Traseras Conjunto/. Nissan Skyline R33GTS / GTR Rear LED Brake Light Set. - Crystal Clear Lens. - LED On Dim Light and Brake Light. - Item Fits R33GTS/GTR Coupe Model. & International. Ref Number 261654X00A. Led mirror indicator unit with the lower puddle light. This fits on the Navara / Pathfinder which has the indicators in the mirrors. This unit fits on the passenger side on a right hand drive. 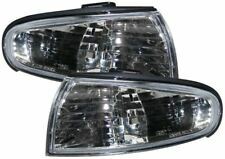 Nissan 180SX 200SX S13 Recangular Early Model Smoked Lens Front Bumper Indicator Lights. Model: Nissan 180sx 200SX S13. will only Fit 200sx 180SX S13 Early Model Bumper. Item: Rectangular Style Smoked Indicator Lights. Nissan Micra K10, RH Combinación Lámpara, Mk1 modelos, años 82-85,new Genuine Part. Nissan Micra K10, RH combination lamp, Mk1 models, Years 82-85,new genuine part.26120-04B10(18). FAROS DELANTEROS NISSAN PATROL AÑO 1985. 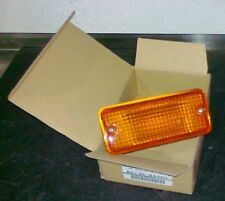 Nuevo anuncioNissan Bluebird T72, RH Frontal Flasher Lámpara, New Genuine Part. B6130-D4060. New RH bumper flasher, T72 models, 05-88 on, genuine part new in box. (Also Fits S14A UK Model). Model: Nissan 200SX S14 / S14A UK Model. will only Fit 200sx S14 & S14A UK Model. 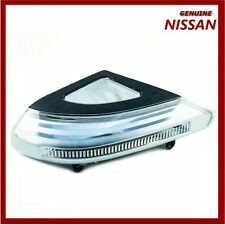 Nissan 200SX S14 Crystal Clear Side Light. Item: Crystal Clear Side Lights. Replaces Original Item. K12 3 Door 1.4 Petrol 5 Speed. L Indicator Light. This part was removed from a Right Hand Drive Vehicle. Compatibility is a guide only. Your item will need to be signed for. TRIM LEVEL. Part Number. Nissan Primastar X83 Indicador Indicador de señal de giro, izquierda 01-06 Nuevo. Nissan Primastar. Modell Primastar. Parpadeo LUZ delantero izquierdo. Año de construcción: 03 / 01-08 / 06. Año de construcción: 01/08-08/06. Nissan 180SX S13 Late Model Front Bumper Smoke Lens Indicators. - Indicator has 2 Connections Ports. (Indicator & Side Light). - Item Fits Late Model Bumpers. - Crystal Clear Smoke Lens. Nissan Interstar Indicador Delantero Indicador Derecho, 07 / 02-10 / 03 Sofortvers. Nissan Interstar. Modell Interstar. Año de construcción: 07/98-10/03. Fahrzeugmarke Nissan. Gewährleistung JA. Gran Bretaña. Nuevo anuncioNissan Serena C23M, LH indicador de parachoques delantero, New Genuine Part. 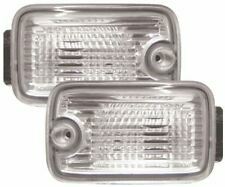 New LH bumper indicator lamp, early Serena models, Years 02-93 to 06-96, new genuine part. Nissan 180SX S13 Early Model Front Bumper Smoke Lens Indicators. - Indicator has 2 Connections Ports. (Indicator & Side Light). - Item Fits Early Model Bumpers. - Crystal Clear Smoke Lens. 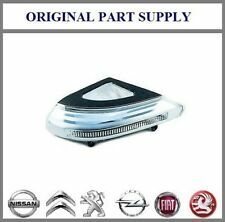 Nissan 200SX S14A Crystal Clear Side Dim Light Pair. - Item Fits onto 200SX S14A Only. - Crystal Clear Lens. Blanco, ningún sostenedor de la lámpara. Fahrzeugmarke Nissan. Antes del montaje, en particular la capa es garantizar que las piezas a instalar para lo vehículo correspondiente sean adecuadas. Por lo tanto, piezas pintadas o rastros de la instalación están excluidos de la retirada.